PT Amarta Karya (Persero) has had experience since 1962 in the field of Construction and Fabrication Services / Equipment. 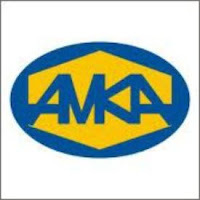 Therefore, products and projects created / executed PT Amarta Karya always meets the required quality employers. PT Amarta Karya (Persero) Grouped into two business areas namely Construction Services which includes work Warehouse & Factory, Steel Frame Bridge, Suspension Bridge, Science, Water Gate, Tower, Bridge Street, Pier, dredging, drainage, Piping, Embankment, Weirs, Dams, Irrigation etc. and Fabrication and equipment which includes Works, Design, Fabrication & Installation of Steel Construction and Allied Construction Industries.